"Last One Out," by K.B. 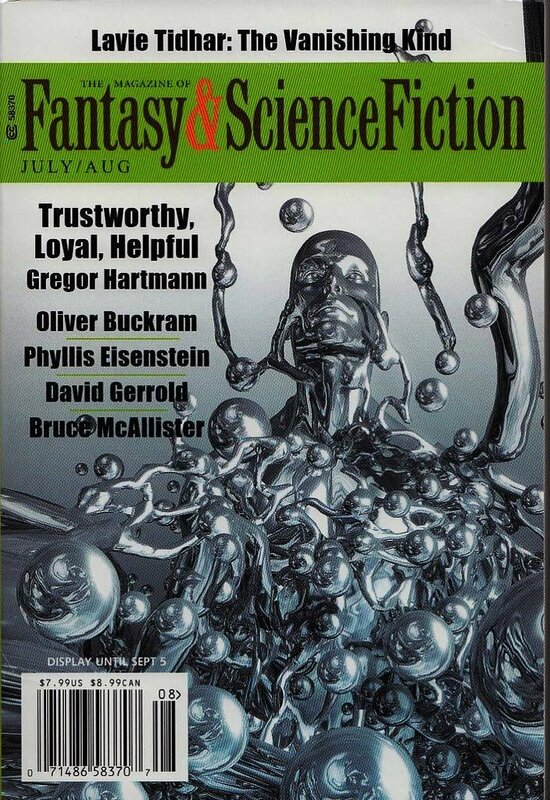 Rylander, appeared in the July/August 2016 issue of The Magazine of Fantasy & Science Fiction, published July 5, 2016, by Spilogale Inc. Pro: Despite the odds, Filip actually succeeds in making Ella happy. She won't see the children grow up, but she might see them born, and she can die hopeful. Fil and Zoe are fairly realistic AIs in the sense that they have no motivations of their own; they're simply following their programming. Fil's two breakthroughs both result from remarks Ella makes to him; he doesn't do anything creative at all. Con: It's a little hard to believe that it took 14 years for any of this to happen. Also, there are usually at least some people who are very isolated; you'd think some of those would have survived.